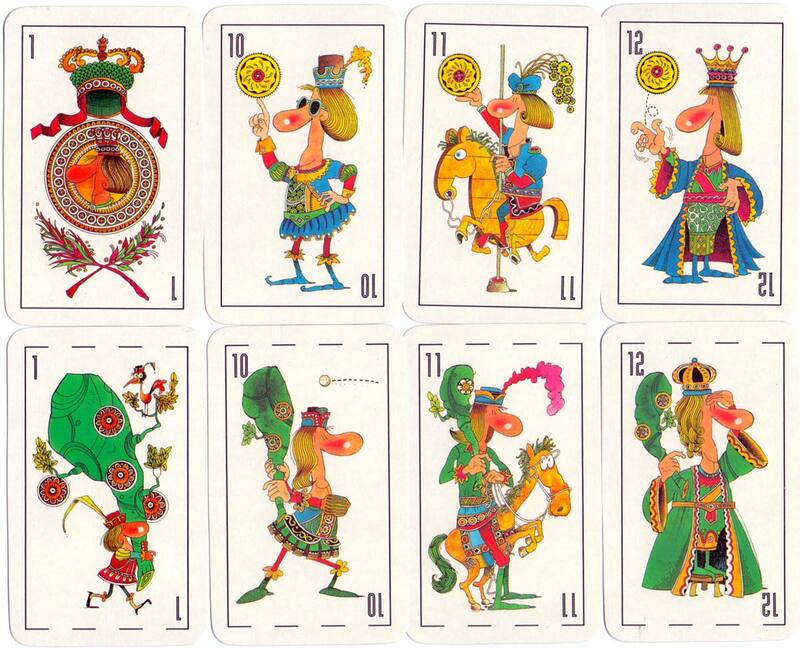 Humorous playing cards with cartoons on all court cards and jokers designed by graphic artist Carlos Garaycochea (b.1928), Buenos Aires, c.2002. 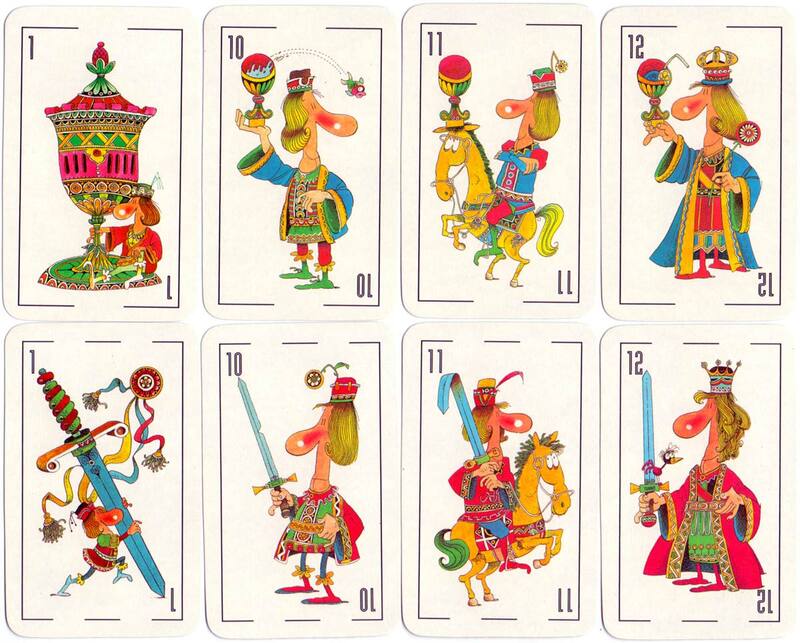 Above: humorous playing cards designed by Carlos Garaycochea, Buenos Aires. 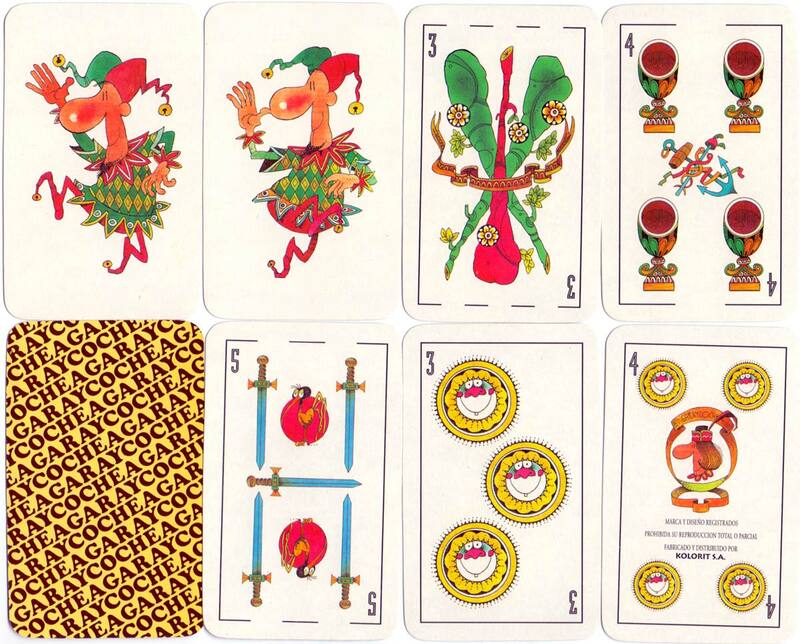 48 cards + 2 jokers in box, manufactured by Kolorit S.A., c.2002.